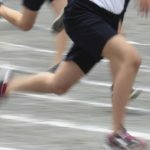 The Physical Education department is a thriving hub of physical activity, which, on a daily basis challenges students to achieve individually and collectively. 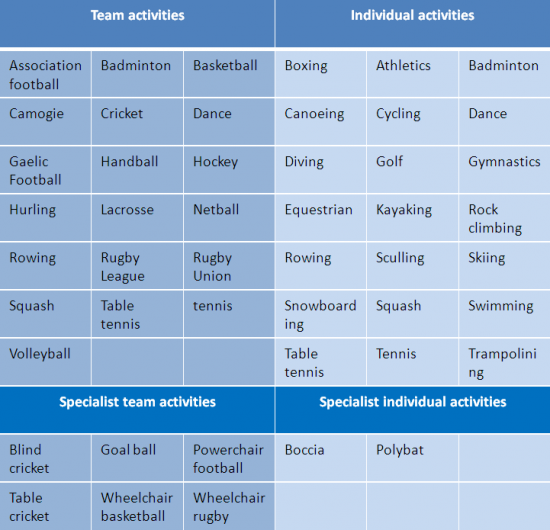 The department firmly support the ethos that all sport should be inclusive. Our varied curriculum and extra-curricular programme successfully allows all students to feel engaged and experience success across many different activity areas. We also look to promote the core values that develop through participating in physical activity, such as; commitment, fair play, teamwork, sportsmanship and determination. 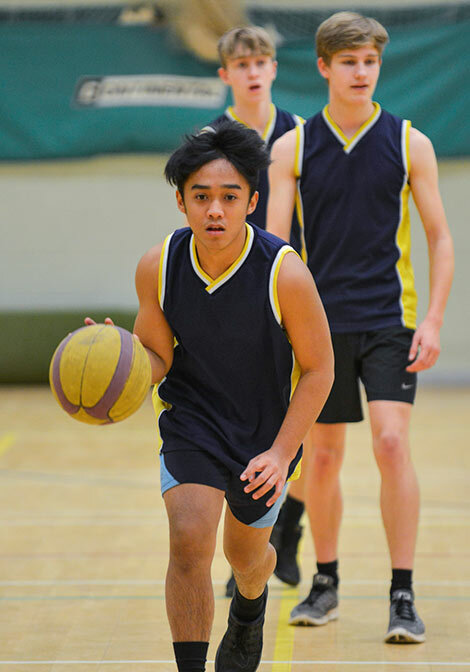 St Nicholas has an incredible tradition of excellence across a range of activities. In recent years, students representing the school have consistently competed to a high standard, with successes in a number of sporting areas at district and county level. We also fully support our high performance athletes who are currently competing at National and International level in a range of sports. This, along with supporting the ‘sport for all’ ethos, has culminated in the school being awarded Sportsmark Platinum; a government award acknowledging student participation rates, sporting success, leadership opportunities and promoting inclusivity for all within sport. All students through 7-11 will receive 240 minutes of Physical Activity over the two week time table. (4 x 1 Hour). Athletics, Basketball, Cricket, Gymnastics, Rugby Union, Football, Volleyball, Hockey, Tennis, Rounders, Softball, Health Related Fitness. Athletics, Badminton, Basketball, Cricket, Gymnastics, Netball, Hockey, Rounders, Football, Tennis, Cricket, Volleyball, Health Related Fitness, Trampolining. During KS4 students are given a similar choice of activities in which to perform. 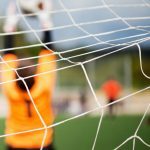 However, students are also challenged in the expectation to regularly adopt a different role within the lesson as either a coach, official or leader. The department delivers activities in six week blocks. At the end of each unit of work, Students are formally assessed by their teacher and given a progress grade to monitor their performance. 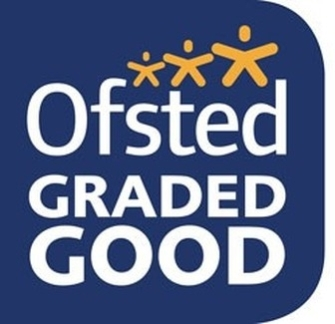 Students regularly use self-assessment and peer-assessment to consolidate their current performance grade and use it to provide the necessary guidance and support to further increase their level of attainment. Each term teachers will base their assessment over three areas of activity that best reflect the students’ ability. In the event of inclement weather, school uniform is still clean and dry for the students to wear for the rest of the day. For any students who are sensitive to cold weather, base layers are permitted to be worn at any time of year underneath the normal kit. Either long or short sleeved base layer tops, likewise base layer shorts or leggings are permitted. These are preferable to jogging bottoms as they are warm both in the dry and the wet, plus they allow free movement when worn. In certain circumstances Jogging bottoms will be permitted, but this will be decided on an individual basis. If any student does not have the correct kit then they will be provided with a replacement where possible, and a departmental sanction will be put in place. All students are advised to purchase a padlock and use the lockers provided. Any kit which is left unsecured overnight will be collected by site staff and stored in a secure location. Students can only retrieve their forgotten kits at 12:30 the following day. We also recommend that ALL items of kit are clearly labelled to enable any lost items to be returned. All GCSE students will follow a 2 year programme of study, having 5 hours of lessons over a 2 week timetable. At the end of Year 11 students will have 2 exams and a practical assessment in three areas of performance. Component 1: The human body and movement in physical activity and sport. Component 3: Practical performance in physical activity and sport Non-exam assessment Internal assessment, external moderation in three practical sports (1 team sport, 1 individual and 1 other) and one written piece of coursework. All A-Level students will follow a 2 year programme of study, having 9 hours of lessons over a 2 week timetable. At the end of Year 13 students will have 3 exams and a practical assessment in one area of performance. Students who need to take medication such as inhalers or Epi-pens, must have all items clearly labelled. In the case of medication which needs to be immediately accessible, it must be the students responsibility to either give it to their class teacher, or to carry about their person. It is recommended that Inhalers are more efficient when accompanied by a spacer. During the summer months we advise all students to always bring a bottle of water, sun cream, sunglasses and an appropriate hat. Concussion can happen at any time during any activity, even just bumping into someone on the yard at break or lunch. We as a department will always endeavour to risk assess all instances involving injuries, particularly body and head trauma. We also feel that parents need to aware of any concussion issues and we strongly recommend the RFU link which has insightful videos and information for all. 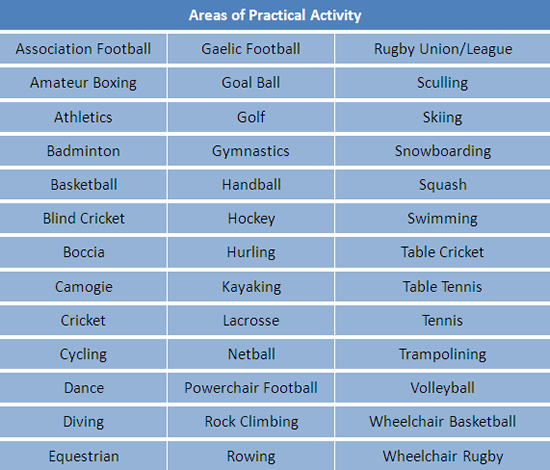 We advise that when taking part in any physical contact sports such as Rugby and Hockey. Gum shields help prevent a wide range of impact injuries and can be bought in many different shops and range between £5-£20. Please ensure that the gum shield is moulded correctly prior to any lesson or match. For both Football and Hockey we advise that all students buy a pair of shin pads. This will obviously help prevent impact injury during lessons, but also they are a necessity when representing the school in matches. ALL referees now check before matches and no shin pads = no play. Having the correct footwear for the correct surface/conditions is one of the most important factors when trying to both reduce the risk of injury and also improving performance. When outside on grass (Football, Rugby) studded boots are an essential item of kit. Either moulded or metal studs can be worn provided they have no studs missing. NO METAL BLADES as they have been proven to increase likelihood of injury. Only in the summer months when participating in Athletics and Rounders are trainers ever acceptable on grass. Trainers must be worn correctly (laces tied) at all times. Appropriate running shoes or gym shoes are suitable for all indoor activities. Any type of fashion trainer such as High tops, Converse and Vans do not offer appropriate grip and support and are therefore not acceptable for any lesson or extracurricular activity.